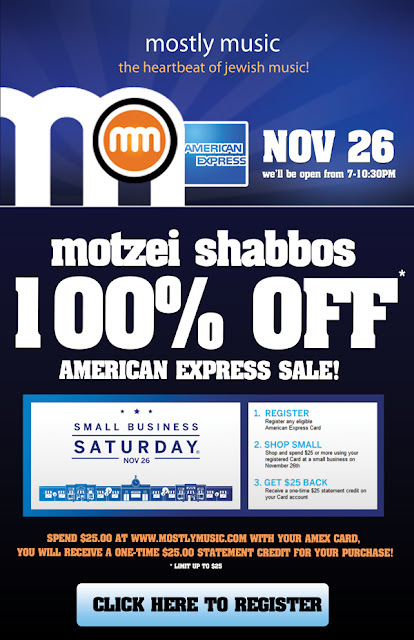 On November 26, 2011, American Express is offering all cardholders a fantastic opportunity. When you spend $25.00 at www.MostlyMusic.com with your AMEX card, you will receive a one-time $25.00 statement credit for your purchase. You can do this with every American Express card you hold, and can even use multiple cards on the same account. It's a "win-win" situation. You spend $25 at www.MostlyMusic.com with your AMEX card and American Express gives it right back to you!